*Student, U-M Institute for Healthcare Policy & Innovation (IHPI), U-M Mixed Methods Program (UM-MMP) and U-M Department of Family Medicine member discount available. To receive discount code, email smotohar@umich.edu with a proof of student/membership status. Scholarship support is available for international students/faculty and U.S.-based students to attend this workshop. For more information, click here. If you are paying via credit card, please click here to complete your registration. If you are paying with check, please complete the registration form and submit the payment by check form. Participants may withdraw from the workshop and receive a full refund if done before October 9, 2019. Withdrawals done between October 10 and October 29, 2019 will be subject to a late withdrawal fee of $250. There will be no refunds for withdrawing on or after October 30, 2019. 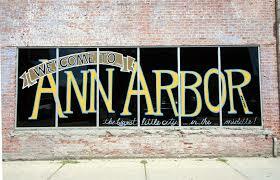 Need information on hotels and visiting Ann Arbor?